We wish you a pleasant shopping! 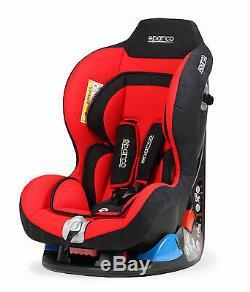 SPARCO F5000 K CHILD SEAT - RED (009231RS). SPARCO F5000 K CHILD SEAT. Suitable for children up to 18 kgs. Equivalent to children aged up to 4 years. Fixing system using the seat belts of the car. Reclining backrest (front seat position). Completely removable seat to follow the growth of the child. Homologation: ECE R44/04 approved Color: RED Reference: 009231RS. Picture For Illustration Purposes Only. Our race accessory shop offer a friendly, knowledgeable customer service both on site and online. You only have to check our feedback score to see we're the most reliable sellers in Race, Rally and Karting. 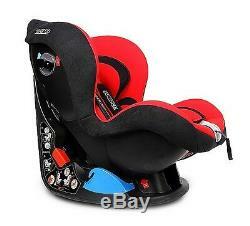 The item "Sparco Child Seat F5000 K RED 0-18 kg ECE Homologation Safety Baby Tuning Auto" is in sale since Tuesday, June 14, 2016. 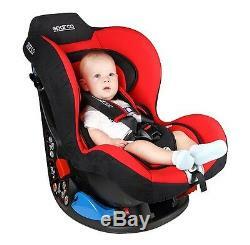 This item is in the category "Baby\Car Seats & Accessories\Car Seats".pl" and is located in Torun.